Geneva- The continued targeting of journalists and media outlets in Yemen by conflicting parties is deeply alarming, says the Euro-Mediterranean Human Rights Monitor. 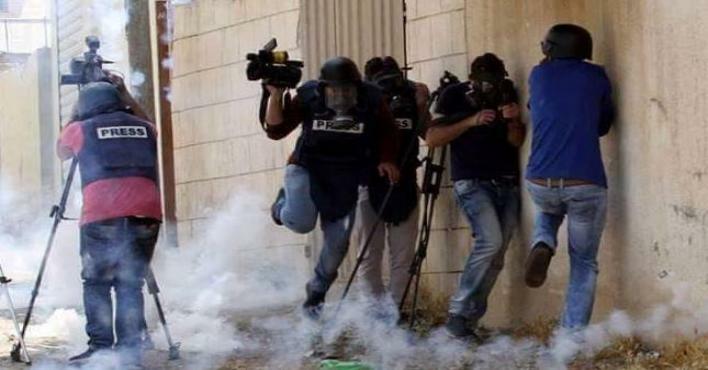 The Euro-Med condemned the killing of three journalists in less than 24 hours. The latest incident was the targeting of a newspaper crew on Friday, April 13, 2018 by the Houthi group in the Qaniya locality of Yemen's Al Bayda Governorate with a heat-seeking missile, killing journalist 'Abdullah al-Qadri, a photographer for Balqees TV channel, and wounding two others, correspondent Diab Al-Shater and photographer Waleed Al-Ja'ouri for the Yemen Youth TV channel, as a number of other journalists survived the incident. The journalists were covering the clashes that took place in Al Bayda between the Houthi group and the Saleh forces. A similar incident took place on the same day as the crew of Yemen TV was targeted by a Saudi airstrike, killing two crew members, Abdullah Najjar and Mohammed Nasser Al Washli. According to statistics received from the Yemeni Journalists Syndicate, about 27 journalists have been killed since the Arab coalition forces announced the start of a military operation in Yemen in late March of 2015. In the first quarter of 2018, 60 cases of attacks against journalists and media institutions in Yemen have been reported, including 29 cases of abduction and arrest. According to the Yemeni Journalists Syndicate, about 70% of all violations against journalists were perpetrated by the Yemeni Government forces, while 25% of violations were committed by the Houthi group. The Euro-Mediterranean Human Rights Monitor calls on all parties to the conflict to immediately stop the policy of targeting journalists and media crews, to end arrest campaigns of activists and political opponents and to release all journalists detained in Yemen’s prisons and detention centers. Euro-Med Monitor further calls on the international community and the United Nations to assume responsibility in monitoring the violations of the Houthi group and the Arab coalition forces and to work towards holding those responsible for such violations accountable, so that journalists could enjoy a level of freedom to practice their duty without restrictions.